First in War, First in Peace, First in Sports? George Washington was a famously powerful athlete. At six-foot-two inches, Washington towered over his peers. As a young surveyor in the backwoods of the Ohio Valley, Washington made rafts out of trees with his bare hands in below-freezing temperatures, fording impossible rivers, and hacking paths through dangerous woods and mountains. 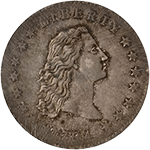 Silver Dollar Across the Potomac? And while he never heaved a silver dollar across the mile-wide Potomac River, Washington’s step-grandson, George Washington Parke Custis, recalled that the General’s formidable arm hurled a piece of slate clear across the Rappahannock River in Fredericksburg and also above the 215-foot natural bridge formation in Rockbridge County, Virginia. He should have had an agent. Washington mastered almost every sport of his day – archery, fox hunting, swimming, wrestling - and he was also somewhat of a pool shark. According to Thomas Jefferson, Washington was “the best horseman of the age” and others remarked that he “rode, as he did everything else, with ease, elegance, and with power.” Letters indicate that Washington played strenuous games of catch with his aides-de-camp during the Revolutionary War and became such a devoted student of sword fighting that he racked up quite a hefty bill with his trainer. 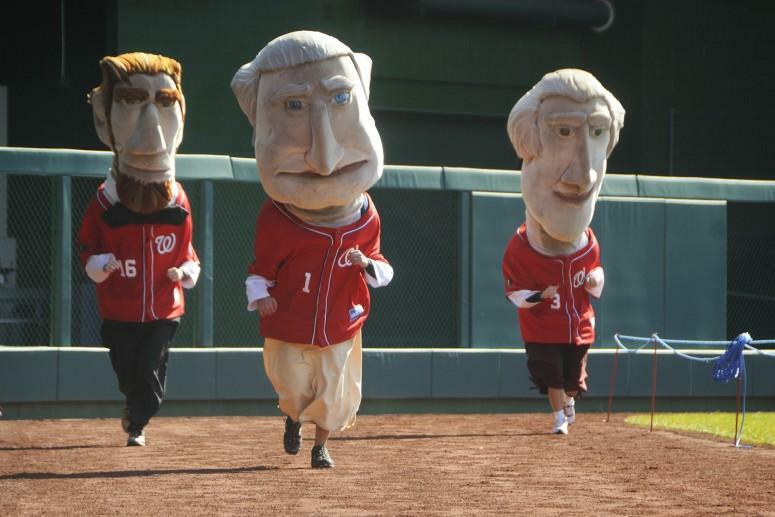 So when you’re next at Nationals Park, and they race those bobble-head Presidents around the field in the middle of the fourth inning, you know who should really win – every single time. Learn more about George Washington's 1753 journey into the wild Ohio Country to confront the French along the contested frontiers of America. Want the latest articles, videos, and event information? Sign up for our free, monthly e-newsletter.